As a Catholic school in the Dominican tradition, we are committed to providing spiritual experiences for our boarding students to explore and grow in their faith. Prayer Services: Every month, we gather as a boarding hall community and pray together. These prayer services are designed to be approachable and engaging so that all students, regardless of faith tradition, are comfortable engaging with the material. Annual Boarding Hall Retreat: Each year in the fall, we hold a mandatory boarding hall retreat with activities meant to foster community and spiritual growth. Each retreat includes a theme, a movie that highlights the theme, a catered dinner, teambuilding activities, reflection, and small and large group sharing. 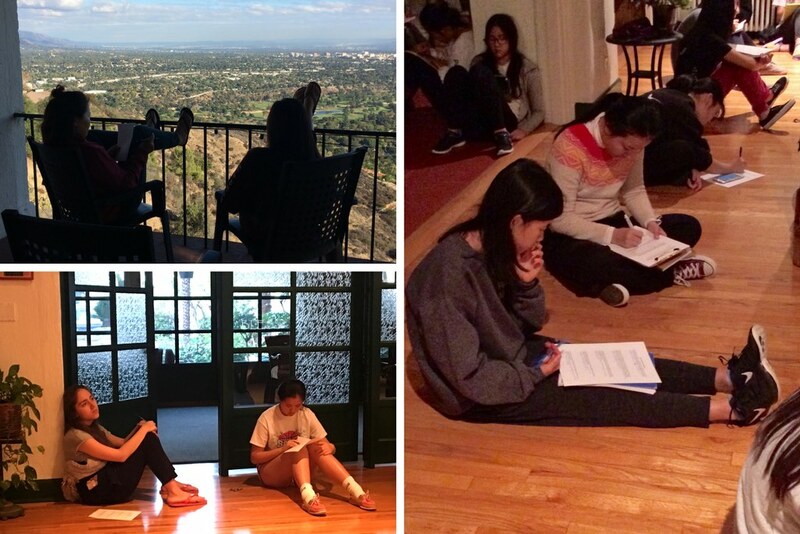 This retreat is led by the Boarding Council in conjunction with residential life faculty.